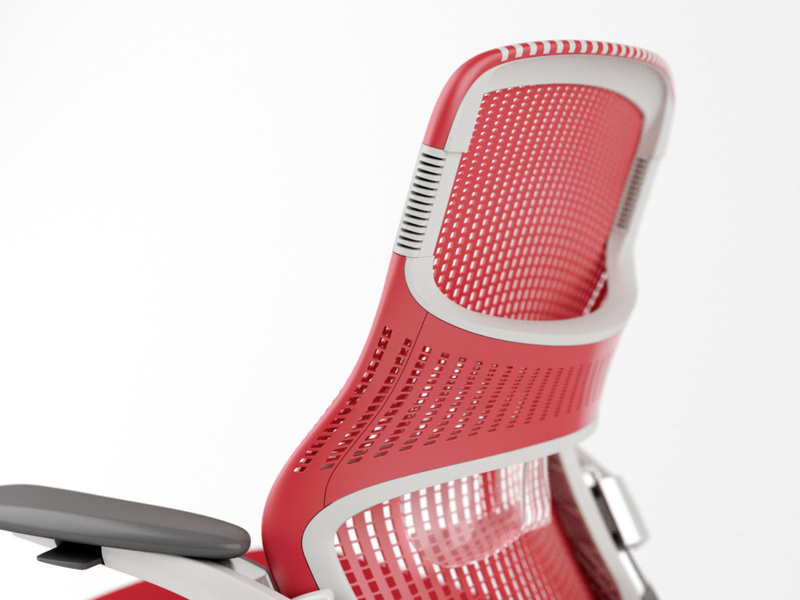 AJ Design Studio was originally approached by Formway to help develop a concept for a chair back in 3D. Formway were looking at using a new material, Hytrel, that had some unique properties. Once moulded, a Hytrel part can then be stretched, which imparts extra elasticity to the area that was stretched. 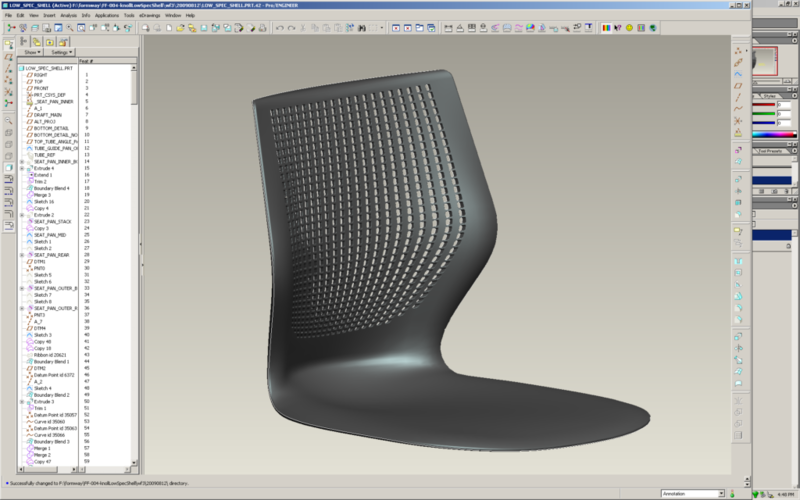 Formway wanted to use the elastic properties of Hytrel as a part of their high performance, multi positional Generation chair. The design intent was to have horizontal fibres running between thick vertical columns. When stretched, the horizontal fibres will deform to 600%-800% of their original length, before returning to their post-stretched length of approximately 200% of the moulded length. One of the biggest challenges in modelling the chair back ‘skin’ was allowing for some areas to stretch, while unstretched areas had to fit exactly onto the rigid chair back frame. 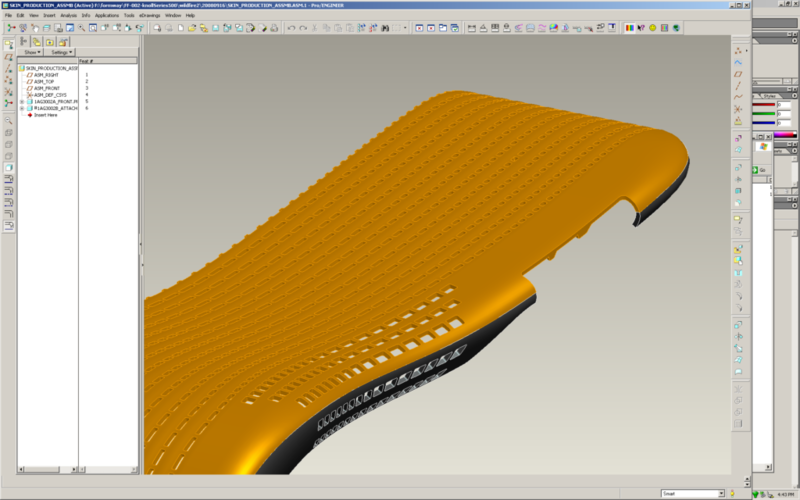 The back skin pattern also had to look right once it was stretched and fitted to the frame. Formway partnered with Knoll, who licenses the design and also manufactures the chair. 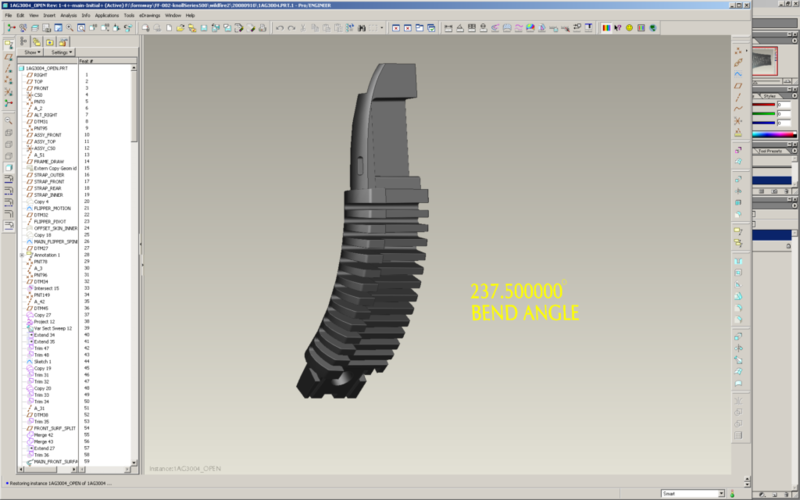 As Formway uses Solidworks and Knoll uses Pro Engineer/Creo for modelling, I was asked by Knoll to help model several of the final chair back components, that were then used to create the production tools. The final skin is actually several parts, both rigid and flexible, that are welded together before fitting to the back frame. Following on from the Generation chair, Formway developed a side chair for Knoll, MultiGeneration. The sidechair was designed as a part of the Generation family, so it shares the same design language. AJ Design Studio was again engaged by Formway, firstly to help with capturing and developing concepts in 3D and then by Knoll to help create the final model for tooling.